There are so many things that I have forgotten to share over the course of the past two weeks! I have just been so preoccupied with our visitors and traveling that things keep slipping my mind! SO, I made a list of all the things that I wanted to write about today and I will try not to leave anything out! 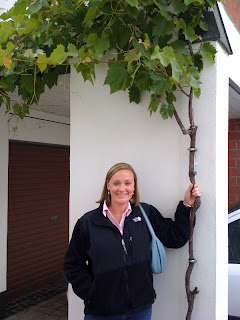 First of all, this is a picture of me and my new wine vine! It is growing on the side of the house that we hope to purchase and the current owner has told me that it will be his gift to me. The grapes are even starting to grow and are about the size of little peas! I can't wait to taste them when they get a little bigger. 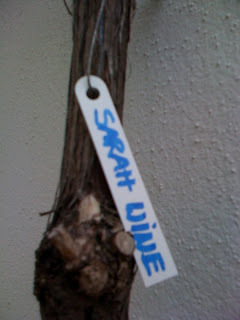 Supposedly the vine is a Riesling and I am thinking that I have a seriously future in wine making. I bet that I will be able to make at least 2 bottles from my very own vine. If anyone would like a tour of my "vineyard", it is growing on the side of my soon to be home! HA HA HA! The owner of the house, Georg, even tagged the vine for me! On another note, I have been thinking a lot about the impending winter. I hear that it is pretty brutal in Germany during the winter so I figure that I needed a nice new pair of warm boots. Here is what I came up with!! Do ya love 'em or do ya hate 'em? Everyone has an opinion of UGG's! The more vocal opinions tend to be that they are UGLY but I know that there are some lovers out there too. I already have these slippers and I think they are to die for! 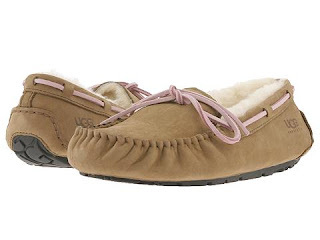 I think it is high time I had a pair of UGG's that I can wear outside of the house (even though, truth be told, I wear the slippers with jeans quite often!). I ordered my new boots from eBay and think I got a really good price on them. Now I just have to get some new jeans to compliment them! For those readers who live in environments that are less than toasty, I'm looking for some good suggestions on winter clothes. I'm going home in July for my sister's wedding and it will be my last time to shop before Christmas. I know that it is going to get COLD here LONG before then and I want to be ready. What are some of my "must haves" that I need to put on the list?? All suggestions welcome!! Since I am always looking for a bargain, Deaner and I walk thru the thrift store on the base about once a week or so. This past week I feel like we hit the jack pot! I have been wanting a bread maker lately really badly but haven't been able to bring myself to purchase one at full price. It seemed sort of silly to buy one when we are about to have a bakery attached to our house and if we bought 110 voltage, we wouldn't have been able to use it once we went home! Problem solved when I found one at the thrift shop for only $15!! It looks like it has never been used! Now I just have to figure out how to use it since all the buttons and directions are in German. :) I also found a brand new iron still in the box for only $5 and got a new hardback book for $2. Love it. Now I won't feel so bad if we only make bread a few times (like I hear is what normally happens!). 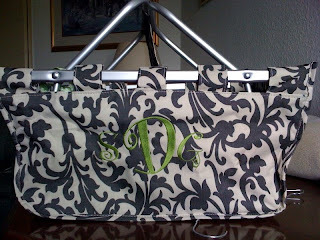 I also wanted to share with everyone my awesome new grocery/wine tote that I won in the More Wine Please giveaway! I KNOW I will be using this A LOT. To purchase one of your very own contact Moly at All In Stitches, LLC. These make awesome gifts! This past weekend Deaner and I spent some time in Nuremberg, Germany with our friend's, Julia, Daniel and their daughter Mia. I am going to post pictures from that trip tomorrow but I wanted to show y'all the ornaments that I got this weekend. We had an ornament like these when I was a child and I always loved it. Nuremberg supposedly has an excellent Christmas market every year so there are several stores in the Old City that carry the ornaments year round. I picked up these two cuties! 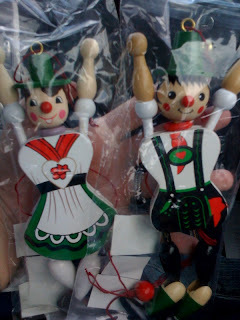 There is string attached to them and when you pull it they do jumping jacks. Love 'em and can't wait to be able to put them on a tree this year! Our tree last year was definitely lacking in ornaments but I think that this year will be better! Anyways, I think that is about all I have to report! I will post pictures from our trip tomorrow! We are also about to buy a TV and I am pretty excited about that. However, I am not excited about having to move all this stuff out of hotel room when we actually get to move into our house! We are really accumulating a lot of crap here! Happy Monday to everyone! Hope everyone has a good first day of the week! Love me some Uggs! And who cares... it's so darn cold here, you need something warm for your feet!! 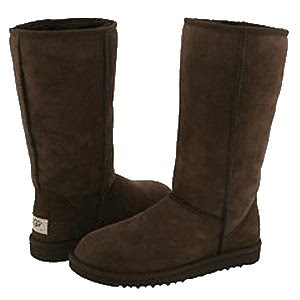 I have those ugg boots in the lighter brown. I love them! They are so comfortable and warm! I have those uggs and LOVE THEM! YAY the tote made it!! That bag is so stinkin' cute!